The first step toward rebuilding is in meeting immediate needs with tangible assistance. 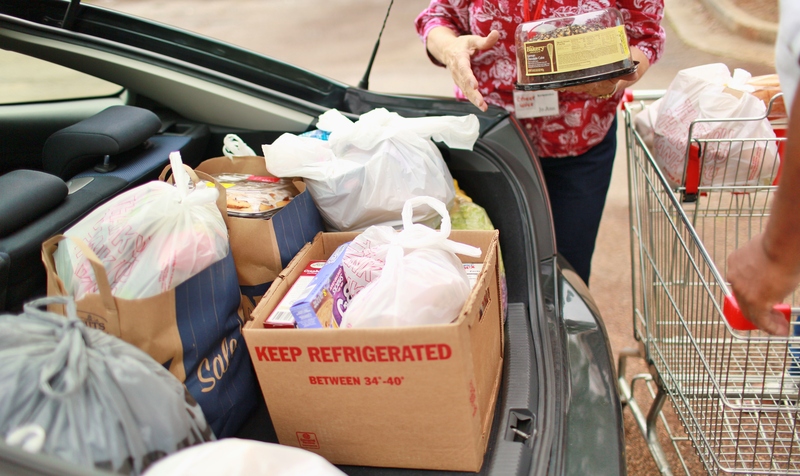 StreetWise aids clients with food, clothing, and hygiene items by appointment at our facility, 10AM-2PM on Monday, Tuesday, and Thursday. We also partner with Atlanta Community Food Bank to hold a Mobile Food Pantry on the second Saturday of each month. Pre-registered guests never have to get out of their cars. StreetWise is able to provide these items through donations from the community and is blessed to distribute over 1 million pounds of food to over 5,000 families! With help from community members like you, we hope to exceed this and our goal is to reach many more families. At each assistance appointment, trained StreetWise counselors give families an opportunity to share their needs and express any concerns. Our counselors demonstrate the love of Christ and pray with each family. If the need for assistance is due to addiction or destructive habits, clients of StreetWise get help to break the addiction or habit; this step is required in order to continue receiving assistance from StreetWise. Our counselors follow-up with each client to listen, encourage, pray, and ensure that they are taking the steps necessary to achieve stability.